Few things are more refreshing in the summer than a bountiful salad. And while this Midwest-bred chef has a soft spot for creamier dressings like ranch and bleu cheese, these hot months call for an airy and bright take on salad. Enter the vinaigrette. Marvelously flavorful, mind-numbingly simple. All you need to know is a basic ratio: 1 part acid to 3 parts oil. From teaspoons to cups, this ratio is perfectly scalable to make one single salad or to bottle dressing and make dozens. Your acid will add the brightness and determine the flavor profile of your dressing. 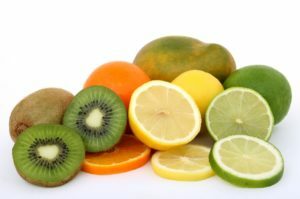 Various vinegars and citrus fruits can create a wide spectrum of dressings. Balsamic has a deep, often nutty flavor, and is great for salads that use hard cheeses. Red wine vinegar is more pungent and offers a permeating flavor, making it good for punchier greens like kale or arugula. Pure lemon juice is bright, fresh and unmistakably delicious with salads that are heavy on veggies such as radishes, carrots and cucumber. 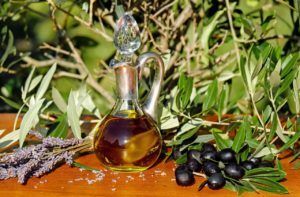 It’s pretty standard to reach for some extra virgin olive oil when crafting a vinaigrette, but plenty of other oils can do the trick and add their own flavor. Grapeseed oil is incredibly pure-tasting and will highlight your acid more. Avocado oil is almost buttery, making your dressing richer. Sesame is aromatic and perfect to pair with soy sauce and an Asian-inspired salad. Vinaigrettes are easy to bring together. Start with your acid and seasonings in a metal bowl. Slowly pour in your oil while whisking vigorously. If you’re using fresh herbs, you can save time by using a food processor or blender. Most vinaigrettes will thicken when refrigerated, so store at room temperature if possible. 1 tablespoon finely minced Vidalia onion, salt & pepper. Let marinate for 1 hour. Add finely chopped cilantro, parsley, garlic. Salt and pepper to taste. What creative vinaigrettes have you made? Let us know in the comments!